Well I've finished another penguin. 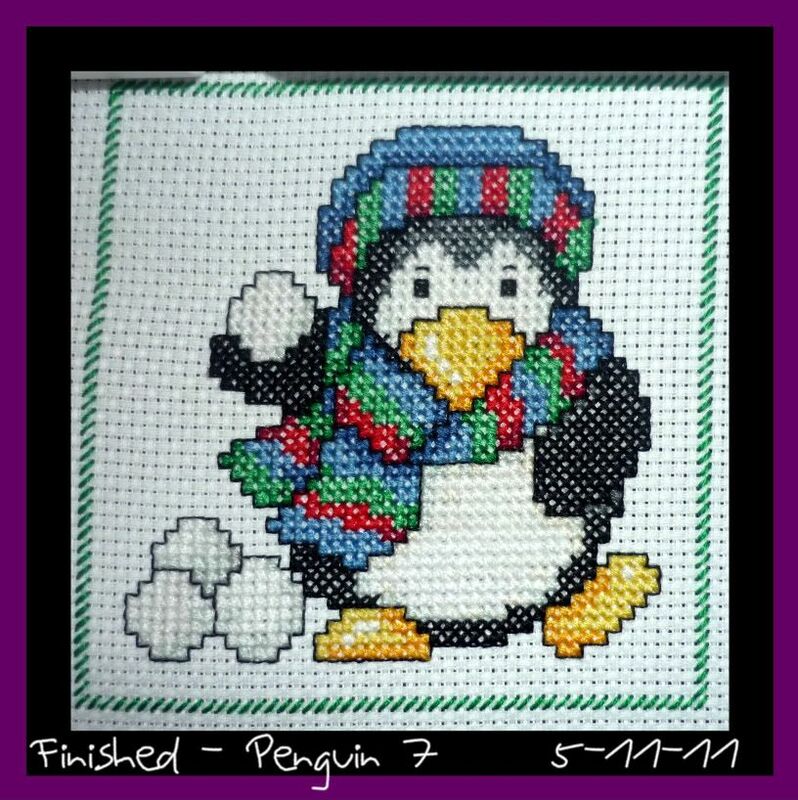 This little guy is from the Enjoy Cross Stitch at Christmas magazine last year. I'm doing all the set of six from this magazine. They're very different from the other penguins, much rounder and some grey. But they're still by Rhona. I'm also 3/4 of the way through the next penguin. He just needs the black and the backstitch, which is all in black as well. I think I now have penguins on the brains. I have an urge to watch Happy Feet today. Thank you to all my wonderful followers! It is great to read all your lovely blogs and to see what you are making. They're so cute! 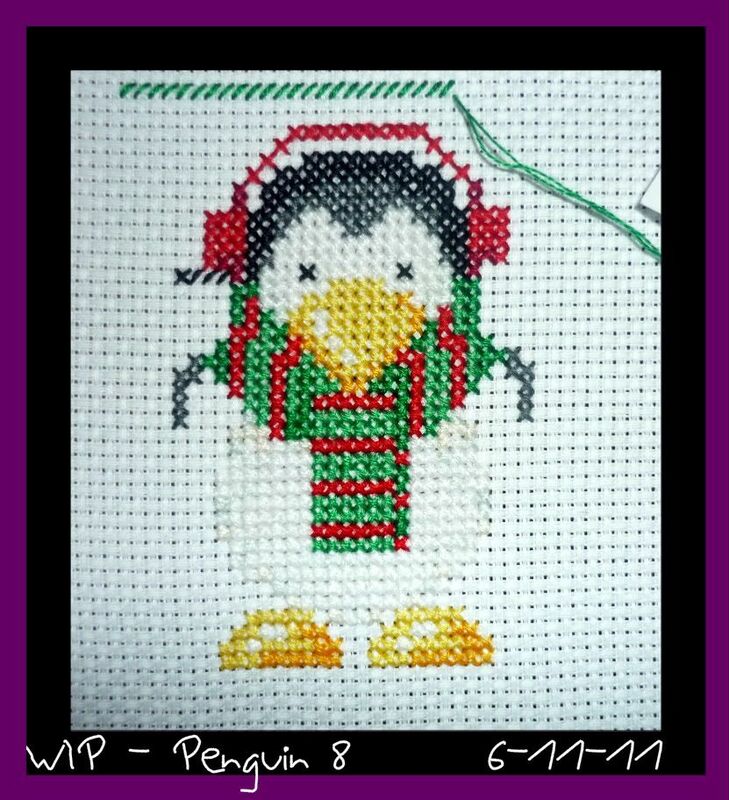 You've got me started now, am doing a Margaret sherry penguin, it's a design for a Christmas card.